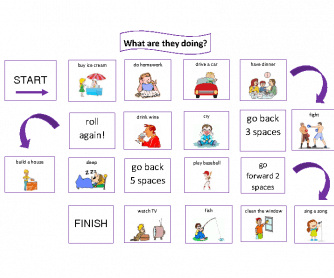 This boardgame is designed for students to practice using present continuous. All you will need is a dice and some counters. Students take turns rolling the dice and moving along the board accordingly. 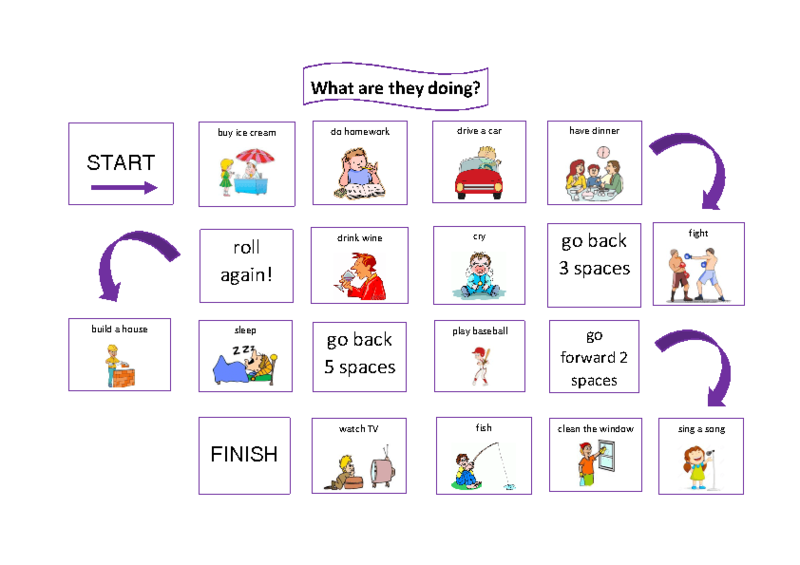 When a student lands on a tile with a verb on it, they will need to make a sentence describing what the person is doing using that verb. First to finish wins!